Gen Sander is a Human Rights Analyst at Harm Reduction International and monitors trends on violations of fundamental rights committed in the name of drug control, with a focus on prisons and the death penalty for drug offences. She holds a BA in Social Anthropology from Dalhousie University (Canada) and an LLM in Economic, Social and Cultural Rights from the Irish Centre for Human Rights. 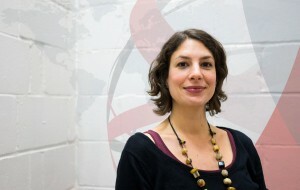 Prior to joining Harm Reduction International in 2014, Gen was senior researcher at the Essex Human Rights Centre, where she worked with Prof. Paul Hunt, former UN Special Rapporteur on the Right to Health, on issues relating to health and human rights, and taught a module on international human rights law. She has worked with various human rights NGOs in Canada, Europe and the Middle East, and has also been a consultant for the WHO and the Independent Expert Review Group (iERG) on right to health issues.